The Elan Valley is one of the most picturesque spots in inland Wales. 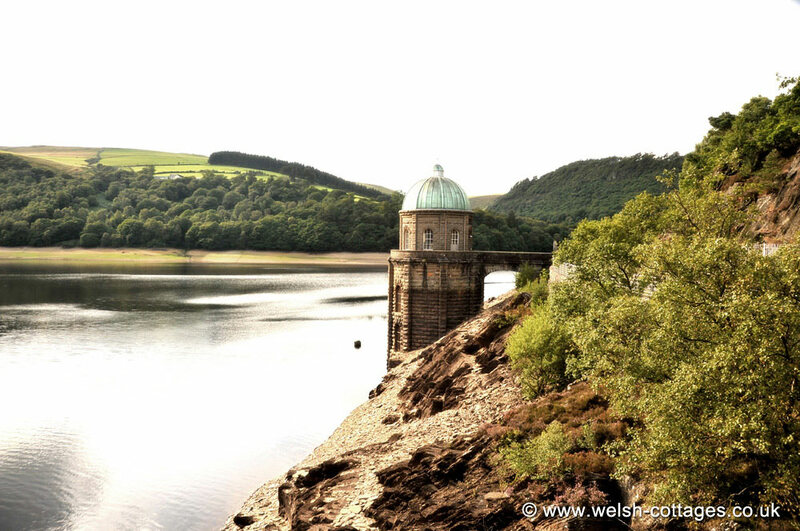 A series of reservoirs with gothic folly type pumping stations running down through rocky hills and wooded valleys make for a lovely day out. Take the B4574 from Devil’s Bridge and keep a keen eye out for a sign post for ‘Elan Valley’. Take this sign posted minor road for a drive through a valley you will never forget. More info on the Elan Valley..